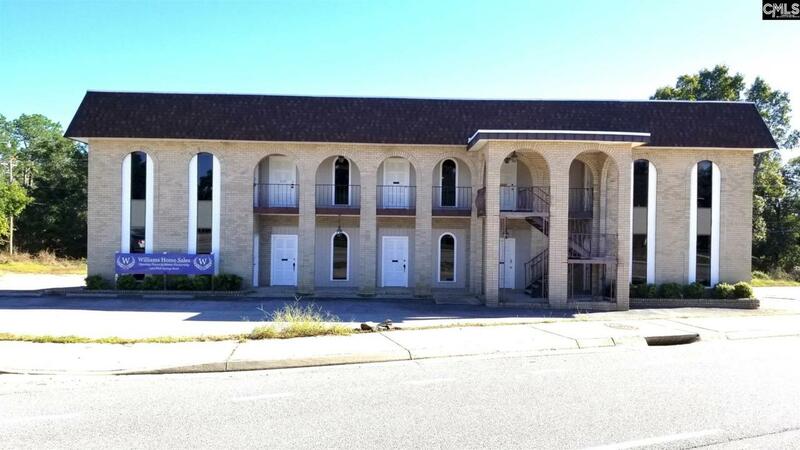 BRING OFFERS on this 2 story Triangle City office building built as 10 units with separate exterior doors, bathrooms, meters and thermostats. Recent renovations combined lower floors into one and upper floors into one however they can be easily separated back out. Reception areas and the limited furniture including desks and some cubicles are possibly included. Building located 2 blocks from Triangle city near busy Charleston Hwy and Platt Springs Rds and backs up to dead end E Avenue. Sold AS IS but is great for medical or legal offices, individual businesses or even a worship center with classrooms. 5 minutes to I-26 / 8 minutes to I-77 / 6 minutes to downtown Columbia State Capitol. See the attached virtual tour for full pictures. Listing courtesy of Asset Realty Inc. Listing provided courtesy of Asset Realty Inc.